A group dedicated to helping preserve the River Bottoms. The first photo was taken Friday afternoon around 4:00 pm from the end of the Old Cedar Avenue Bridge on the south side. “Friday afternoon” as in 72 hours from the time of this post. The second photo was taken around 2:30 pm Sunday, March 24th from virtually the same place. I believe this is the 5th flood event in the River Bottoms in the last 12 months. 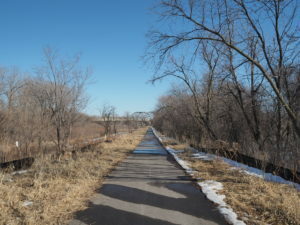 Five times in the last 12 months Mother Nature said “spending millions of taxpayer dollars to build a paved trail in my River Bottoms is completely and utterly fiscally irresponsible”. The proponents still aren’t listening. Only you can stop this. Only you can persuade those that represent you in Minnesota State Government that this is a boondoggle of epic proportions. If every person who follows this effort on social media called or wrote their representatives today we would have a better chance of stopping further funding. Do it. Today. Please. P.S. The river isn’t done rising. It will get much worse before the river recedes. Next Next post: Bloomington City Council Meeting – Monday, April 1st. Details in the links in the post. MNDOT VS MNDNR. Common Sense vs No Sense. Bloomington City Council Meeting – Monday, April 1st. Details in the links in the post. Richard Wilkinson on More Shenanigans!!! Charlie Wold on Make a difference! Jay Elrod on Make a difference! William Olive on Make a difference! We are a group of dedicated cyclists, trail runners, hikers, nature enthusiasts, and tax paying citizens who believe that it is fiscally irresponsible to build a paved trail in a flood plain. 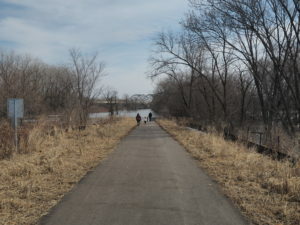 We would like to see the MN River Valley Bottoms remain a natural area with natural trails. We are working hard to make people aware of the proposed trail. We have created a petition for people to sign in support of keeping the MN River Valley Bottoms in the natural state they are in.